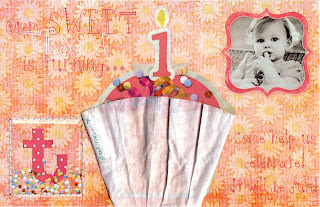 I’ve designed a few versions of a cupcake 1st birthday party invitation made with a coffee filter as a 3D liner. I love adding something unexpected to an invitation! This is the original invitation I made for my daughter’s birthday 3 years ago (see credits here). 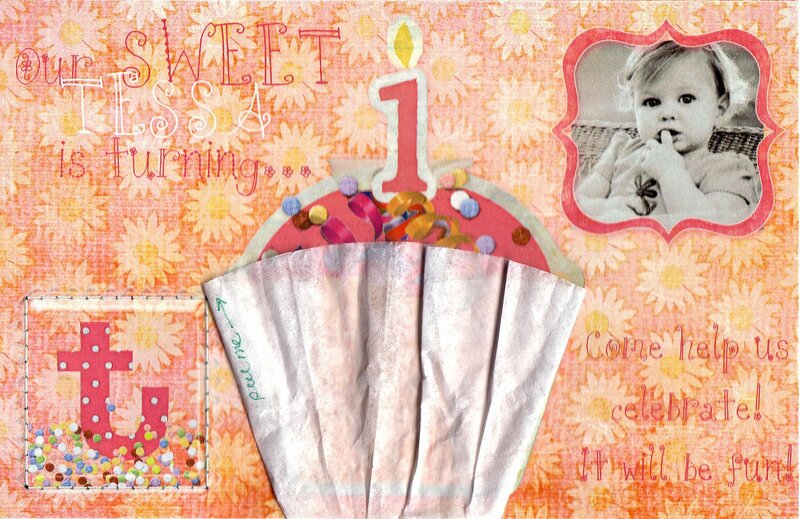 And now I’ve created a printable version (for sale at Shop for Sharlie), and I know some of your would like to use that printable invitation and take it up a notch by adding the coffee filter as the cupcake liner. I decided it would be much easier to show you how to attach the coffee filter rather than try and explain it in a typical blog post. So here is my first official video tutorial/vlog! Hopefully there will be more in the future. Let me know if there is a project of mine, that might be better explained in a video tutorial. The Shop for Sharlie has enjoyed tremendous success! Of course, Sharlie still needs thousands of dollars for for her lung and heart transplant, so the shop is still open for business. 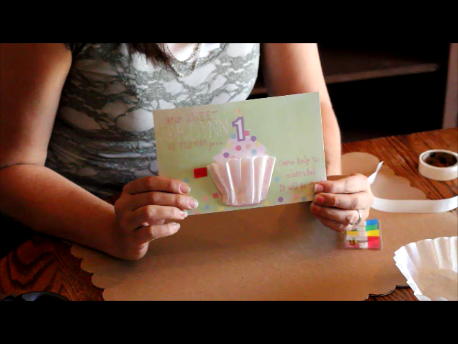 You can purchase a fill-in printable invitation at the Shop for Sharlie, like the one shown in the video. Each purchase includes both a boy version and a girl version. Buy some coffee filters, assemble, and wow your guests for your sweet birthday celebration. There are dozens of wonderful tutorials and printables at the shop. Are you making some home made Christmas presents this year? There is sure to be something there to aid and inspire you! If you do make your own 3D cupcake invitations, I’d love to see them! Leave me a comment or upload your pics to my Facebook page! Awesome, I really like it, and thanks for tutorial 🙂 I’ll try it.